waiting for you to read them. There are some cities that you may visit so often in your lifetime, that you’ll get all the touristy things out of the way, leaving you to form little rituals or routines to go through whenever you return. This could range from heading back to favourite restaurants, adding to a personal quest of sorts (like having afternoon tea any time you’re in London) or just re-visiting parts of the city that mean something to you. Having been to New York City a handful of times now, I’ve got my routine down pat. I love walking around the different art galleries across the city. It’s one of my favourite places in America to sample different cuisines. I enjoy poking around neighbourhoods that I haven’t set foot in before. 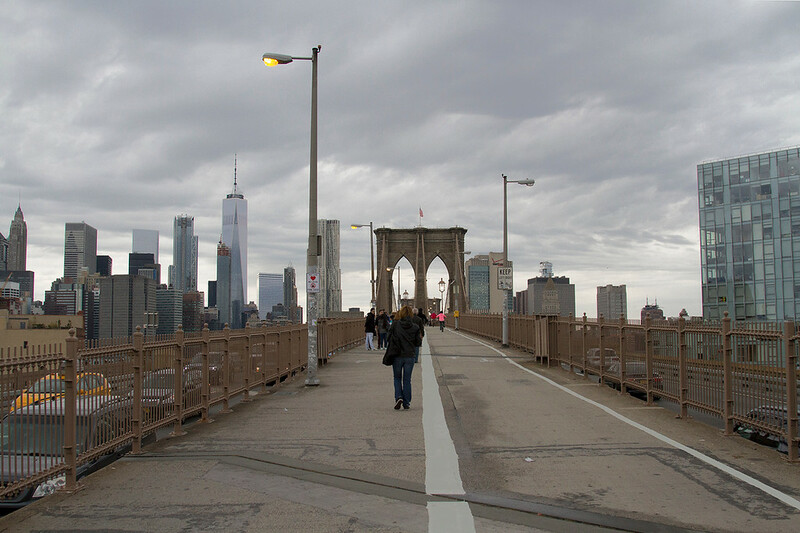 I particularly like doing things that are a little off the beaten path (if you’re after some inspiration, here are some alternative things to do in New York). 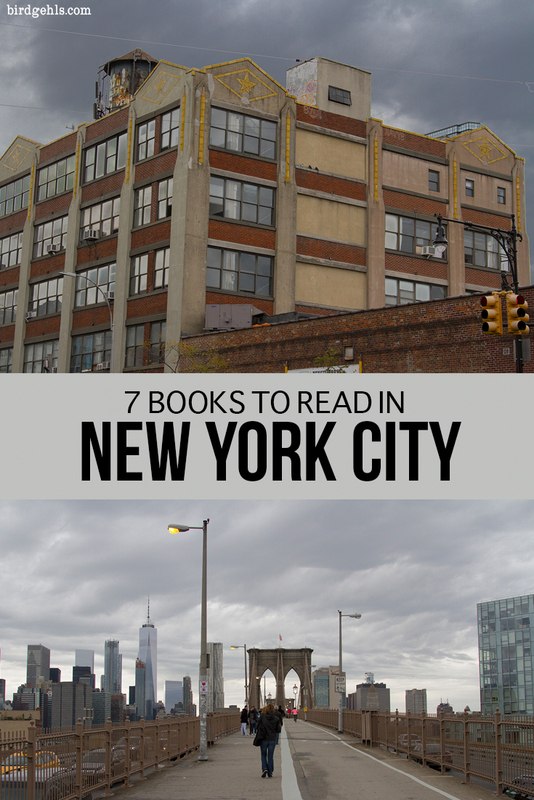 Yet most of all, I like to buy books in NYC (particularly those that are set in the city) and read as many of them as I can while I myself am there. 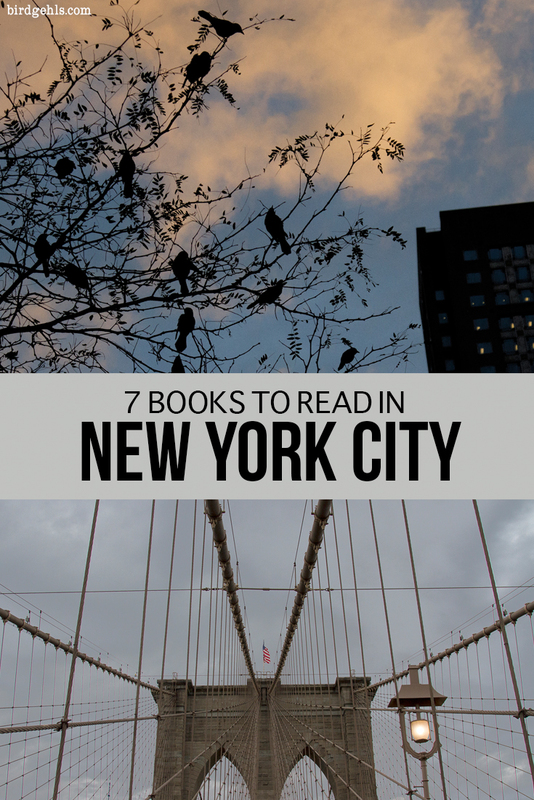 Here are some books about New York City that are certainly worth a read. I picked up The Lonely City: Adventures in the Art of Being Alone the last time I was in the Strand and was completely absorbed in the book at the turn of the first page. 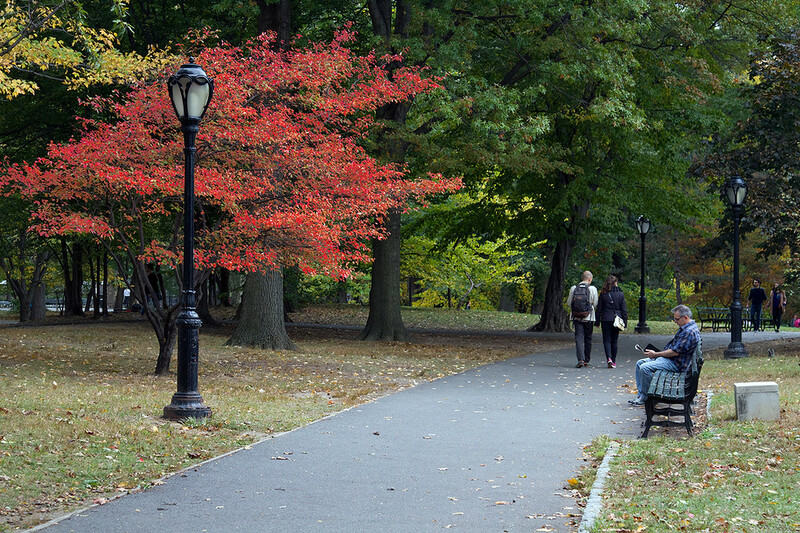 Olivia Laing is a British writer who moved to New York City for love. When her relationship crumbled, she stayed in the city, entering into one of the loneliest periods of her life. She moved from sublet to sublet, losing herself in the art of other lonely figures who had walked the streets of New York before her, such as Andy Warhol, David Wojnarowicz and Henry Darger. What I like most about Laing’s writing (as I immediately read another one of her books, The Trip to Echo Spring: On Writers and Drinking upon finishing The Lonely City) is the way she seamlessly blends biography with memoir. You learn a lot about the artists she relates to in her writing, but also gain an insight on her own experiences too, without it seeming too “me, me, me”. If you’re a regular reader of this blog, you know this isn’t the first time I’ve raved about this book. Put simply, I loved it. It resonated in particular, as I’ve moved to several cities on my own and I know what it’s like to be lonely in a new place. It’s an all encompassing feeling at the best and worst of times. Goodbye to All That is an anthology of stories – the title derived from an essay by Joan Didion and written when she herself left New York City. Featuring the likes of Cheryl Strayed, Roxane Gay and Dani Shapiro, the essays all detail what it was like to both arrive in and leave New York City – the allure of the city that never sleeps, the hardships encountered in setting up a sustainable life there and the shattering of dreams when each contributor inevitably decided to move on. 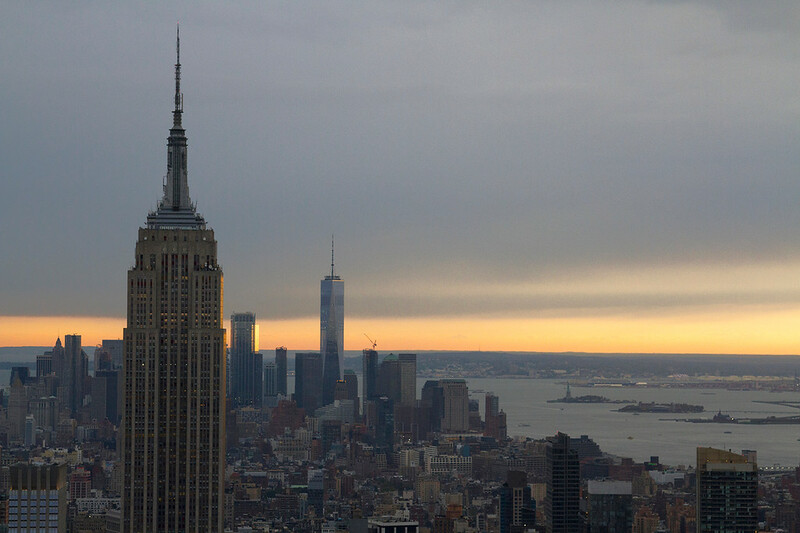 Yet, all writers agree on one thing – New York had a profound impact on them and remains a lasting influence, both on their lives and on their work. It’s a city that has a way of getting in under your skin and there are not many places around the world that can have that said of them. GTAT was followed by yet another anthology Never Can Say Goodbye, featuring essays by Elizabeth Gilbert, Adelle Waldman and Whoopi Goldberg. 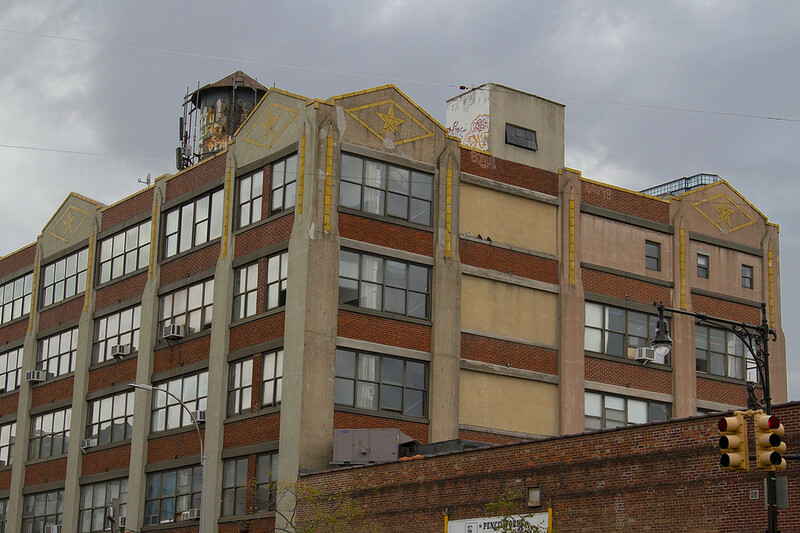 The pencil factory in Greenpoint, Brooklyn. I finished reading The Love Affairs of Nathaniel P. a couple of months ago (in New York, whilst staying in Greenpoint where some of this book is set, which delighted me) and I’m still not entirely sure of how I feel about it. Nathaniel is a hard character to empathise with. Brilliant, young and soon-to-be-published, he is exemplary in his field, yet struggles with status and has a tendency to treat the women in his life like garbage. Finding himself in a relationship with someone who is his intellectual equal, forces Nate to sit up for the first time in his life and think about what he really wants. From reading the reviews, it seems many readers were quick to judge the characters (one Goodreads reviewer declared: “Turns out Nathaniel P. is a self-absorbed rotter. End of Story” which is a particularly amusing and honestly, accurate comment). I will say some of the more intellectual conversations got a bit trying at times… I found it difficult to keep up and was not a fan of being made to feel like a moron by fictional characters. Plus, as a woman who has dated in the 21st century, I’m tired of men like Nate. It was getting to the point in my early-to-mid twenties where if I heard one more fellow I was interested in cite some sort of “commitment phobia” as a reason to not get involved, I was ready to throw the towel in entirely. It’s interesting to read an imagined view of the “other side of the fence”, written by a female author. In any case, this is Waldman’s debut novel and I certainly look forward to reading more from her in the future. The Museum of Modern Love is the book of the year, for me. Honestly. I’ve read close to 100 books this year and there have been some strong contenders, but this weird and wonderful novel sucked me straight in. Arky Levin is a film composer in New York, adjusting to life without his wife Lydia. At a loss, he finds himself in MOMA one day, which happens to coincide with real-life performance artist Marina Abramovic’s work The Artist is Present (where she sat completely still each day, inviting viewers to sit across from her and maintain eye contact for however long they wished). The performance continues for 75 days and has an impact on those who watch it unfold, including Levin. I think what I enjoyed the most is the fact that this very American book is actually written by an Australian. I love that my countrypeople are creative enough to take themselves out of our culture, to walk in another’s shoes in a way that is most convincing to readers. It brings to mind the Hannah Kent novel of a few years ago Burial Rites which imagined the last few months of Agnes Magnúsdóttir, the last woman to be put to death in Iceland. Our literary scene continues to move from strength to strength. 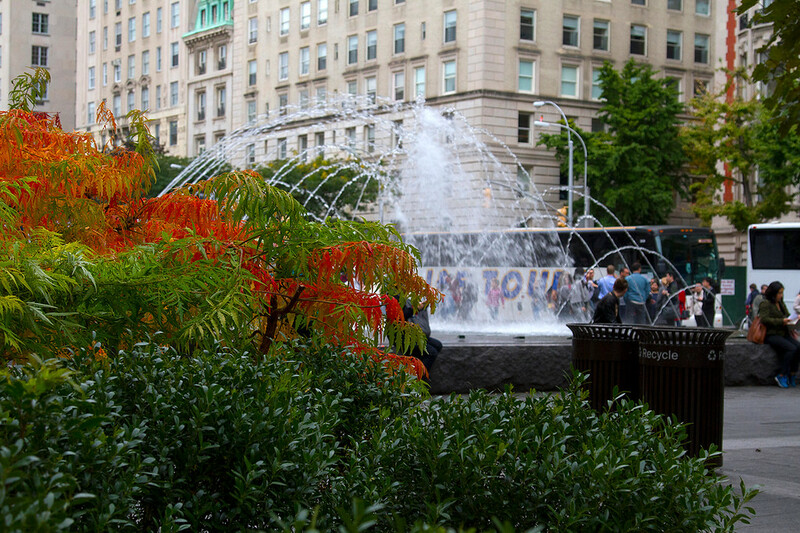 More autumn glory outside The Met. Edith Wharton is one of my all-time favourite authors and it’s hard picking between her books, but I would say The House of Mirth edges out slightly in front of her other famous book on high society in New York, the The Age of Innocence. I wanted to cry desperate tears upon finishing both novels, but for different reasons indeed. Lily Bart is a member of New York’s “high society”. Beautiful, witty, sophisticated on the outside – in reality, she is a poor girl with expensive tastes. Bart is in want of a husband to help preserve her social standing amongst the nouveaux rich and maintain her luxurious lifestyle. Although many have sought her hand in marriage, something within Bart prevents her from making a suitable match. As you can imagine, Wharton’s novel was deemed scandalous when it was first published in 1905. Set within an era when women had little to no autonomy on how they lived out their lives, it is impressive to read about a literary heroine who rallies against the oppression that society seems fit to press upon her. Whether or not she succeeds… well, you’ll have to read to find out. I read American Psycho many, many years ago, but it remains one of my favourites of all of Bret Easton Ellis’ books. Patrick Bateman is young, handsome, intelligent and successful, working on Wall Street in 1980’s New York. He also happens to be a psychopath. Bateman is obviously not a character that most people can find themselves relating to in any way at all (and thank goodness for this fact), but you will easily find yourself fascinated by the hateful, misogynistic diatribe that constantly takes place within his head. This book is surreal to read, if only because of its ambivalence. It may not be the most “enjoyable” book you’ll ever pick up – I remember wavering between being horribly amused and then downright horrified when I read it all those years ago. Yet, it’s a classic, a clever piece of writing and one of the few books to be represented fairly and honestly by its film adaptation. Christian Bale’s interpretation of Patrick Bateman will haunt me forever. Veronica is an interesting read, yet another book that I’m not entirely sure that I… liked? I think I did, but sometimes I’m not so sure. The novel covers the life of protagonist Alison, a teenager plucked off the streets of San Fransisco in the 1980s and hurled head first into the world of modelling in Paris and Rome – a world of drugs, vanity and sexual depravity. When a relationship ends and her career comes to a crashing halt, she moves to New York, where she meets and starts an improbable friendship with an older woman, Veronica. Their lives and friendship is soon impacted when Veronica is diagnosed with AIDs. The novel starts with Alison, older and ill, working as a cleaner for next to nothing as she looks back on her life and her memories of their friendship, haunted by the past and questioning everything she was and everything she knew. If anything, the book is beautifully written, in a way that can get tiring at times only because the complexity of the language can hurt one’s brain. I wish I’d read it a bit slower, giving myself time to savour it, rather than devouring it in one sitting. Oh well. These things happen. 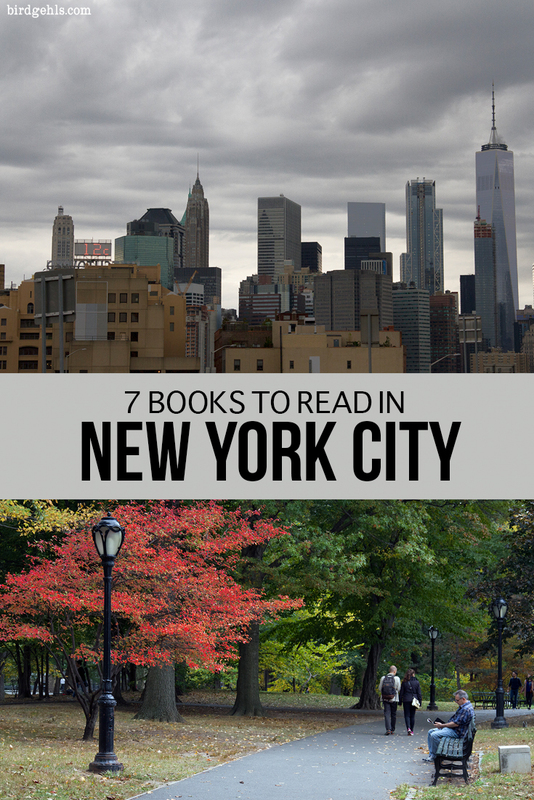 Do you have any favourite books that are set in New York City? NB: This post contains affiliate links to books I’ve read and therefore recommend. I love book + travel posts, combining two of my favourite things in the world. 🙂 Not sure I want to read all these books but I’ve popped “Museum of Modern Love” and “Lonely City” on my to-read list. I’ve had Paul Auster’s “New York Trilogy” on my to-read list forever and also Mary Beth Keane’s “Fever” about a typhoid outbreak in 1911. Have you read either? I think out of them all, those two were the best ones. I haven’t read either! But I’m keen to go on a New York related reading rampage. You need to add Just Kids by Patti Smith!! Please read it! It’s an especially good book if you love art or are an artist. That’s exactly what I like! I have borrowed out M Train so I’ll hit it up after that (have you read it?). I haven’t read m train but sounds like I’ll have to check it out!